Abode’s on-demand professional monitoring and DIY set it apart from traditional systems, but it’s not exactly cheap. Abode’s on-demand professional monitoring and DIY set it apart from traditional systems, but is it worth the price? 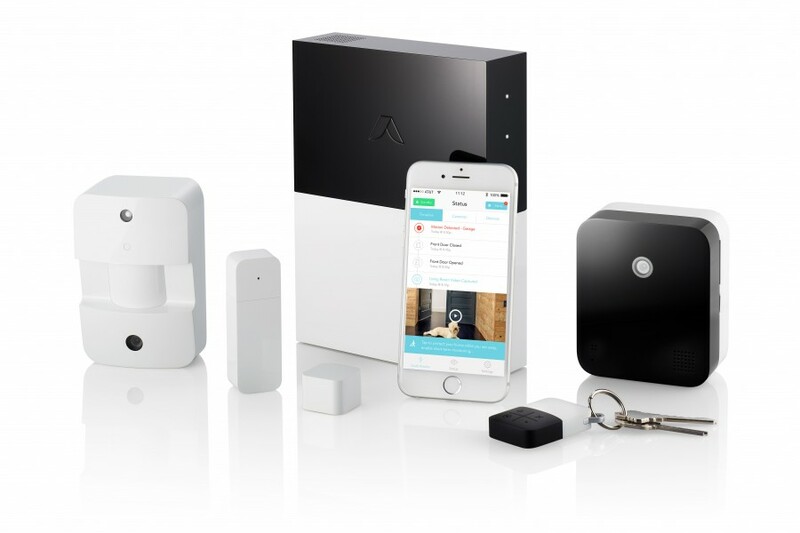 We think Abode Home Security (often stylized as “abode”) stands out for a few good reasons. Abode’s on-demand monitoring allows you to add 3-day, 7-day, or monthly monitoring—which is great for keeping the house safe while you’re on vacation without having to subscribe to a yearly professional monitoring plan. Beyond that, it’s a straightforward DIY system that you can install and monitor on your own. It may not run as cheap as some other companies like iSmart Alarm, but it’s also not nearly as expensive as Scout or Frontpoint. Abode home security is a favorite for renters, but we also think long-term homeowners will like that the system can be expanded and updated for years to come. How much does Abode cost? Abode has all the basics covered with its Essentials Starter Kit (available on Amazon), or you can buy the all-in-one Abode Iota—a camera and smart hub that integrates with other smart devices. What’s the difference between the Abode Gateway and Iota? What’s a gateway? What’s a smart hub? Consider a gateway or hub to be the “brain” of your system through which all other devices communicate. It’s your central station, your main frame, your home base. These smart hubs are usually compatible with various technologies, and Abode happens to be one of the most inclusive of the DIY home security systems we’ve reviewed. Abode unveiled a new smart hub with a camera in 2018 called the Iota, but it’s not quite out yet (as of 5/11/2018). So if you were considering getting one of the starter kits from Abode (view on Amazon), just be aware that they come with the Abode Gateway and not the new Abode Iota Gateway. Abode has emphasized over and over that it will continue to support the current Gateway model and you don’t need the Iota unless you want the additional features. What are those additional features? Perhaps the biggest difference between Iota and Gateway is Iota’s camera, which makes Iota a nice all-in-one product—but that may not be a deal breaker, since you can get a cheap security camera for under $100. Abode’s system is also designed to be expanded, so we wouldn’t worry about waiting for the Iota to come out. Wi-Fi compatibility was highly requested for the gateway by customers, although we (and Abode) recommend Ethernet connections for their reliability, consistent speed, and security. Abode’s Iota gives immediate support for Apple HomeKit, and the original Gateway will be updated in the coming months, so you’ll have to wait just a bit longer for support. Abode sends alerts via mobile and email notifications. You’ll be able to verify through image or video whether you should alert the police or not. Abode can alert the police for you if you subscribe to the Connect + Secure plan. The built-in backup battery lasts for 10+ hours, so if the power goes out and someone thinks they can get to your collection of valuable dolls (or action figures, if you’re touchy about the subject), you’ll still be able to catch them in the act. If you want 3G cellular backup for your system, which ensures you’ll stay connected even during Wi-Fi or internet outages, you must subscribe to the Connect or Connect + Secure plans. Both the Abode Gateway and Abode Iota Gateway connect all devices (home automation included) and also have USB ports for expansion, so they’ll stay compatible with the latest technologies. Abode also offers support for the three most popular virtual assistants (Google, Apple, and Amazon), which isn’t the case for most hubs out there right now. Abode is compatible with Z-Wave and Zigbee technologies, meaning it will act as a smart hub for pretty much any smart device. And on top of that, you can integrate IFTTT recipes, Nest products, and Ecobee thermostats (view on Amazon) directly. Basically, Abode works with everything you need in the land of home security and home automation. Iota works as an all-in-one security camera and gateway. 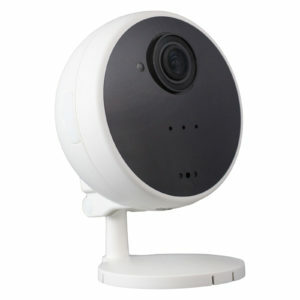 You can integrate Abode’s other cameras, as well. Abode has multiple camera options to choose from, which is nice because the company used to offer the 720p version only. Now you don’t have to run off to another company to get that HD clarity. We do like that the motion detector has a built-in camera because it allows you to verify what’s happening in the room rather than assuming the worst when your cat knocks a picture of Aunt Gertrude off the shelf. Abode doesn’t require a consultation with an agent or technician, and you can always expand your system. We were able to set up our system in under 20 minutes, if you don’t count user error. You can buy the Essentials Starter Kit on Amazon right now. And although the current Gateway will continue to be supported and updated, some users who need Wi-Fi may want to wait for the Iota to show up on Amazon—hopefully in the next month or two because it was supposed to be out by the end of March. Everything requires minimal effort to install: by using double-sided adhesive tape, users can easily put up and take down the system. It’ll take less than hour for sure—a half-hour if, unlike us, you’re focused and decisive. Pro tip: Get better tape! We recommend getting better double-sided tape if you’re going to use the motion sensor in the corner. Our motion sensor fell a couple of times, which ended up triggering a tampered status on the app—no bueno. It was a simple fix, but you can avoid it altogether by getting some strong tape you can pick up at the hardware store or on Amazon. You’ll always get alerts directly to your phone, device, or email from Abode before a false alarm is triggered. This is nice for knowing if you should be worried about a burglar or if it’s just your neighbor Raymond who decided to borrow some sugar by climbing through the window (just go to the store, dude!). Abode is one of the best DIY security companies to buy equipment from because it doesn’t require a subscription to use the app features that make it work well in a mobile world. In other words, you don’t have to pay $10 or more per month just to use the app. Right now, you can get the Abode Essentials Starter Kit for about $279, which is cheaper than Nest Secure or a 12-month subscription plus equipment from Frontpoint. However, you can get other do-it-yourself systems like SimpliSafe or iSmartAlarm for less. So at that middle ground, the Abode model does strike a balance between the feel and look of a higher-end system, but without having to pay a subscription fee to use the mobile app (which SimpliSafe and Frontpoint do). The basic plan, which lets you self-monitor from the app, is included with your purchase. You get three days of timeline and media storage, which may be enough if you notice anything suspicious quickly, but it might not be enough for people going on a vacation to check back when they get home. Abode’s most unique feature is on-demand professional monitoring plans. You won’t have to fork over a year’s worth of money if you plan on being gone for only a little bit here and there. This is not only a great money-saving feature, but a great benefit for anyone who’s on the fence about getting Abode mostly for self-monitoring. On-demand monitoring is unique to Abode. No other home security company lets you get professional monitoring for less than a month at a time. This is great for those who want backup when they’re gone fishing, or just when they might be too distracted to pay attention to their phones (happens to us a lot). If you do want to enhance your service, adding the subscriptions increases your timeline and media storage. For instance, the $10 per month Connect plan gives you 3G cellular backup and 14 days of timeline storage—and the $30 per month Connect + Secure plan gives you 3G cellular backup, 90-day storage, and 24-7 professional monitoring (meaning the security center will contact you and alert the police, if necessary). Abode doesn’t require contracts, but you’ll save money if you do subscribe for a yearly, rather than a monthly, plan. It includes a one-year warranty to cover your basic use and a 14-day return policy if you decide you want something else. Abode’s on-demand monitoring is its standout feature: you can use the app all you want on your own, then if you leave on vacation, you can add professional monitoring that will alert the police while you’re away, in 3-day, 7-day, or month-long plans. We like that Abode doesn’t require a subscription for app access, which can be costly for those who want an inexpensive DIY system. We’re also fans of the overall ease of use with Abode—everything from installation to setting up custom alerts and automations went smoothly and didn’t have us pulling out our hair. Plus, we can take it with us to any new residence without leaving holes in the walls. And you can always expand the system because it’s compatible with all the major home security technologies (Zigbee, Z-Wave, and IFTTT) and digital assistants (Apple HomeKit, Google Assistant, and Amazon Alexa). If you like Abode but aren’t quite sure about buying yet, compare it to iSmart Alarm, SimpliSafe, Scout, and more in our Best DIY Home Security Systems or Best Security Systems for Renters.